Solid Sports Court Painting in Galway & Dublin. At this time last year we completed solid sports painting of tennis courts in Galway and received an order to paint outdoor basketball courts in a Dublin school. Galway Tennis Sports Court Painting. 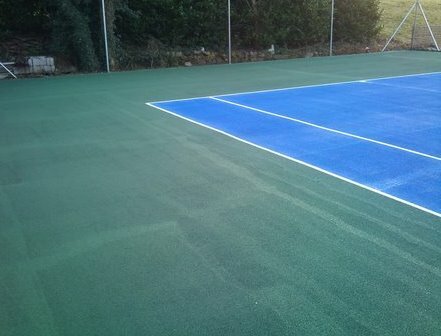 This outdoor court painting project was completed within 3 days. As standard, we used specialised non-slip vibrant coloured paint with long lasting qualities. 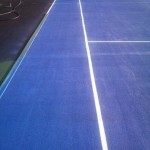 Highly durable court paint ensures our customers get the best value for their money. 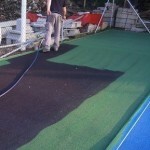 Once the solid court was completely painted we then started line marking the tennis court. children now use court coloured sections for games & activities). 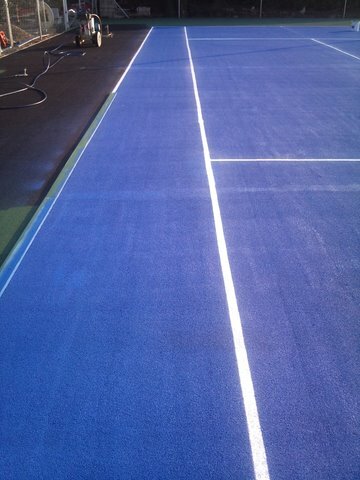 After thoroughly cleaning the existing courts, contrasting non-slip paint was applied and finally line marked. The whole process took less than 6 days work and gives the school many years of use, fun and activity. 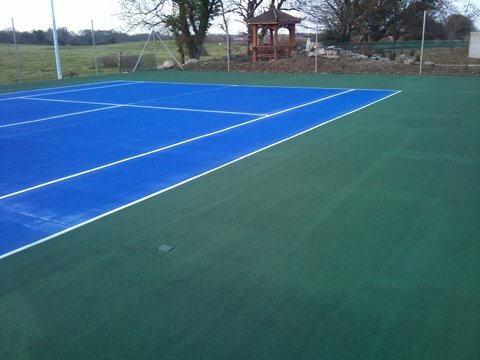 For more information on our sports court painting projects just email Niall Clancy, Digital Marketing Manager, niall@fitnessfunctions.ie or lo-call 1890-252-856. Solid Full Court Painting & Linemarking. thank Fitness Functions for their professional deliverance of the courts. 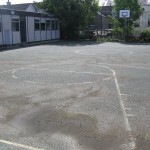 Stratford College (Rathgar, Dublin) have two outdoor basketball courts. 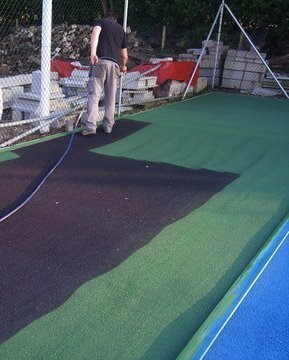 Over years the basketball line marking and painted surface had become worn and faded. After discussions with the school it was decided solid full court painting followed by basketball line marking presented the best solution for the school to revive these basketball courts. The solid full court painting process involved high pressure power washing to remove the moss, dirt and any other debris that had accumulated on the courts through the years. Regarding the colours, the basketball perimeter was painted in spring green, summer red was used on basketball keys and centre circle & the basketball courts were completed in saxe blue. Finally both courts were re-lined. The whole process took six days but will give the school many years of enjoyment and activity. 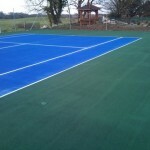 For more marketing information on court painting or school playground markings please contact our Marketing Manager, Niall Clancy; niall@fitnessfunctions.ie or lo call 1890-252-856. 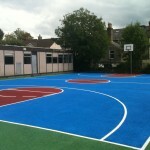 Sports Court Painting for your school or club? In addition to our traditional playground markings & line marking service, our sports court painting work transforms tarmac and hard court sports areas in schools and sports clubs around the country. We use non slip, high quality, vibrant coloured paint with long lasting qualities. To ensure our customers get true value for money the paint simply must have excellent durability characteristics. 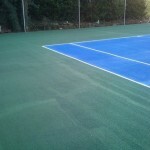 For more information, advice or pricing on sports court painting please contact us.